State Board of Technical Education and Training or SBTET, Hyderabad conducts Andhra Pradesh Polytechnic Common Entrance Test or AP POLYCET 2019 every year to select applicable candidates for admission to the diploma courses such as Non – Engineering as well as Engineering. Make sure to fill the application via online process, those who are interested in taking admission to the course. Read the article below to get all the important information about AP POLYCET 2019. AP POLYCET 2019 Application form will be available from 2nd week of March 2019. 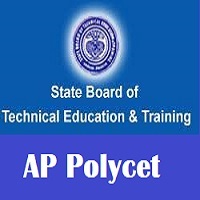 Click Here to apply for AP Polycet. Candidates can submit the application form via online process. Make sure to visit the official site and fill the form by downloading it. Ensure for submitting the form through the online process, once the application is filled. Upload the photograph and submit the form via online mode only. If any help required, you can visit the Help Centre. Give application form and pay the application fee to the computer operator. Take the print out of the form, once the application form is filled. Candidate should have Indian nationality to apply for AP POLYCET 2019 exam. Candidates belong to the state of Andhra Pradesh can apply for the exam. Passed SSC exam via State Board of Secondary Education, Andhra Pradesh required with a subject such as Maths also by securing at least 35% marks in qualifying examination. Those who belong to APOSS, ICSE, CBSE or NIOS or some other board need to pass SSC exam with PCM subjects can apply for the exam. Candidate required to have attained 35% marks for each subject. Those who are appearing for the exam can also apply for the entrance test. In order to pay the application fee, the amount of Rs. 330/- need to pay by the candidate. This amount is applicable for candidates belonging to all the categories. The application fee can be made via facilities such as AP Online Centers/ payment gateway/ meeseva/net banking/Helpline centres. The mode of the exam will be offline (pen paper) mode. There will be 120 questions in the exam and the duration of exam will be 2 hours. The subjects will be Physics, Chemistry, and Mathematics. Each question will carry equal marks and there will be no negative marking. Enter the enrollment number to get the admit card. Keep a copy of admit card for future reference. Carry this copy along with you and carry along with you while moving to the examination center. AP POLYCET 2019 Results are to be out in the month of May 2019. The result will be provided through online mode. The result will be available on the website and then a merit list is prepared. The information related to the counselling will be provided in leading newspapers/website, after the announcement of the result. The counselling commences in the month of June/July. Students have to make the choices for college and course in which they want to get admission, at the time of counseling. The admission will be provided according to the student’s preference and rank obtained in the entrance exam. The question papers are on the basis of SSC/10th class syllabus of AP board. To score good marks in the examination, candidates can study the SSC syllabus consisting Physics, Mathematics, and Chemistry.